A readvanceable mortgage lets you reborrow the principal amount paid off each month to a maximum of 80% of the value of your home. The readvanceable mortgage is a combination of one or more mortgages (segments) and home equity lines of credit (HELOC). Mortgage segments within a readvanceable mortgage are treated as a standalone mortgage, each can have different terms, amortizations and rates. Readvanceable mortgages always have at least one HELOC segment. Mortgage approvals are for a specific maximum loan amount. As you pay down the mortgage, the available HELOC increases such that the total available HELOC and mortgage always equal your maximum approval amount. After two months, since you have been paying down your mortgage, your balance may be $397K and your available credit line would now be $3K. 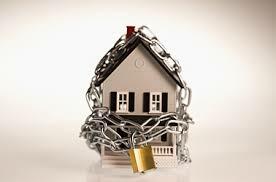 A lender registers an amount on your property that is “owed” to them. This is usually the amount of money that is loaned. However, a readvanceable mortgage can be registered at a higher amount than is actually loaned. This is important when you expect your home’s price to increase in the future and you want to “unlock” extra equity in your home without having to reregister with costly lawyer fees. Parsing your readvanceable mortgage into various mortgages and a HELOC allows flexibility when it comes to future planning. With each mortgage or HELOC, you are provided separate accounting from your lender. This means you can designate for different needs such as home renovations, a new car, vacations, RSPs loans, investments, etc. Additionally, since any interest charged on money used for investment purposes is tax-deductible, you are providing yourself with a tax-deductible way to invest. Let’s say that you have paid down your mortgage to $200K. You now have $200K available in your HELOC. This line of credit can be used for any purpose you want, such as a new home or investment opportunity. You may now borrow $200K from your own home’s equity to purchase the investment without having to do any paperwork whatsoever. The interest on your $200K line of credit is tax-deductible because you are borrowing for investment purposes.